Special spectacle lenses can ensure non-tiring vision when working in an office environment. Indoor or near comfort lenses have been specially developed for working at a computer screen or for other activities involving close and medium-range distances. They enable you to work in comfort and ergonomically. 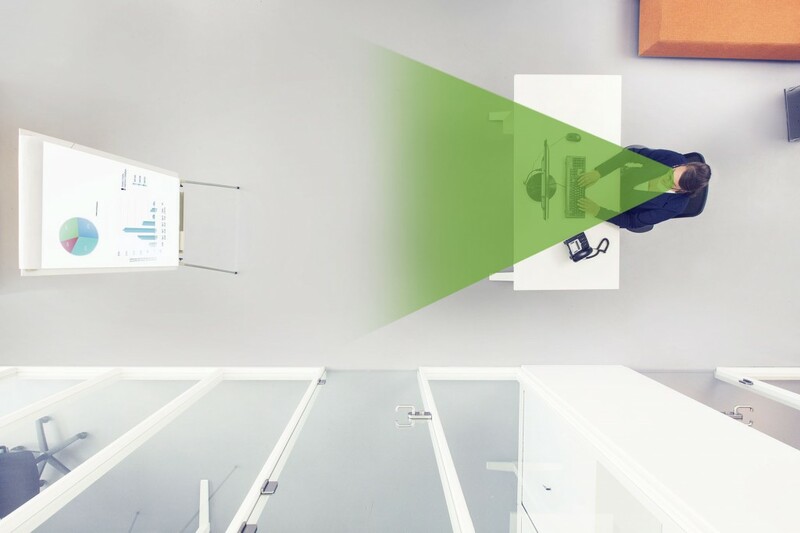 As opposed to single vision lenses, they offer greater depth to the field of vision enabling you to work with a significantly increased field of view. 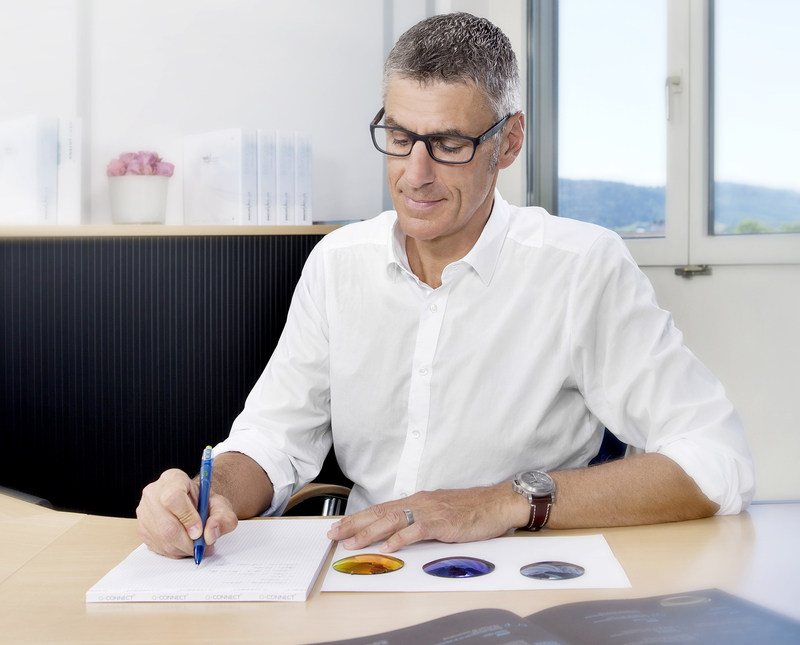 In comparison with progressive addition lenses, the close and mid-range fields are greater in the case of these lenses designed for the workplace. 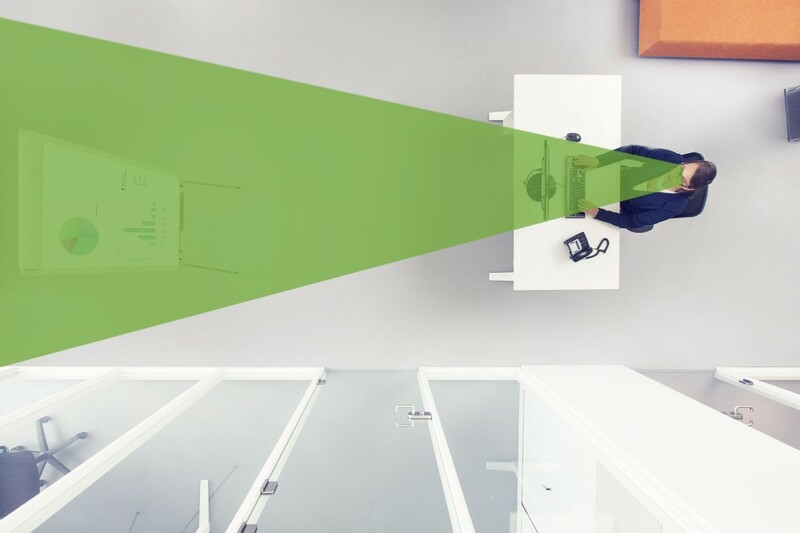 With special lenses for the workplace, you see the entire surroundings of where you are working more clearly and without having to tense up your body. Eyesight problems that have previously remained undetected are often noticeable for the first time when working in front of a computer screen. In this case, the eyes have to satisfy very high requirements that the brain will no longer be able to compensate for at some stage. These eyesight problems can manifest themselves as headache, neck pains or sore eyes. However, there are still many spectacle wearers that suffer from these symptoms after a long working day. Those who wear single vision lenses bend their heads approx. 45° towards the screen, taking an unnatural head and body position. On the other hand, people wearing other kinds of lenses sit too close to the screen in order to see clearly. All of these incorrect postures can lead to neck and back complaints, headaches, and eye irritation. People who wear progressive lenses have a tendency to lift their heads up approx. 20° when working at a computer. This is the only way that they can get to the desired intermediate and near ranges of the progressive lenses. This can lead to tension in the shoulder and neck area, since it is impossible to have ergonomic posture while wearing progressive lenses. The lens industry has therefore developed near comfort lenses or indoor lenses in order to make it possible to work comfortably and ergonomically at near and distant ranges. These lenses offer greater depth in the field of vision than single vision lenses do. This makes it possible to work in a much larger radius.